Fine pressure probe for heating system checks / 4 pascal measurement | Diferenční tlak | Tlak | Parametr | Testo, s.r.o. 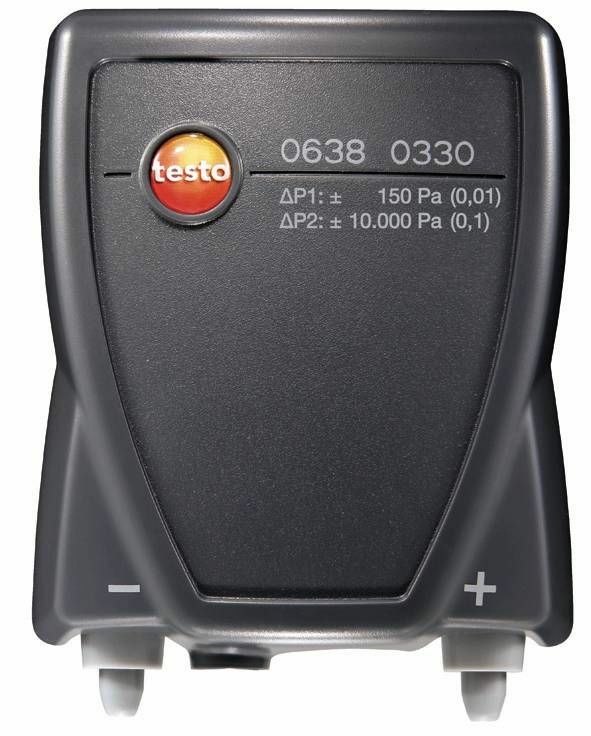 The high-precision probe is used for the measurement of differential pressure and temperature in combination with the testo 320 and testo 330. Heating checks (according to DIN EN 15378) and 4 pascal measurement can be carried out with further accessories. Cyclic zeroing means the fine pressure probe has no zero point drift and provides high-precision readings. In addition, the fine pressure probe makes simultaneous gas pressure measurement and flue gas analysis possible with the testo 320 or testo 330.